I saw last week that you chose to retweet a derogatory statement by Jeremy Corbyn against Israel. I suspect you may share his views about Israel in many ways, although I am not sure you are aware of how most mainstream Jewish organizations and leaders across the World view his longstanding and consistent demonization of Israel. His track record of attacks against Israel, in language and actions, bears the hallmark of modern anti-Semitism as it applies to Israel: demonization, delegitimization, and applying double standards. A recent article that succinctly documents these concerns over many years can be found here. Mayor Pro Tempore Jillian Johnson retweets a perpetuation of the myth that Israel indiscriminately targets civilians. A recent book I have read is one that you may find of interest. It is from Yossi Klein Halevi, one of the most preeminent, progressive writers today about the Palestinian/Israel narratives. In his just published book Letters to My Palestinian Neighbor, Mr. Halevi has worked for years to co-Direct, with Imam Abdullah Antepli of Duke, the Muslim Leadership Initiative, that teaches young Muslim American leaders about Judaism and Israel in Israel. He eloquently describes in his book how one of the main obstacles to peace in the Middle East is an inability to hear a side of the narrative different from our own. He says that “One reason that the well-intentioned efforts of diplomats have failed so far is that they tend to ignore the deep religious commitments on both sides. For peace to succeed in the Middle East, it must speak in some way to both of our hearts.” I highly recommend this short book to you that can access here. 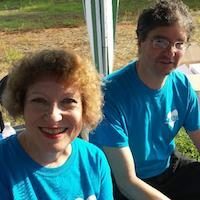 A bottom line is that if you continue to listen to and promote only one narrative, whether it be the in the Durham Council’s statement on terrorism and police singling out and demonizing Israel, or giving credence to those with decades long track records of fostering hostility against Israel, and promote both narratives in ways that alienate substantial members of your own community who have a different narrative that is equally valid, you will never get to the place you hope of an enduring peace in the Middle East. 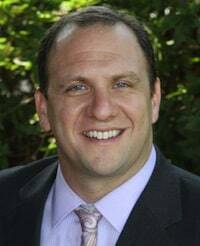 Adam Goldstein, MD, is a family physician and researcher, who has served in leadership capacities for multiple Jewish organizations in North Carolina, across the U.S. and in Israel. His research on addiction has been cited nationally and internationally, appearing in the New York Times, Wall Street Journal, on CNN and multiple other media platforms. 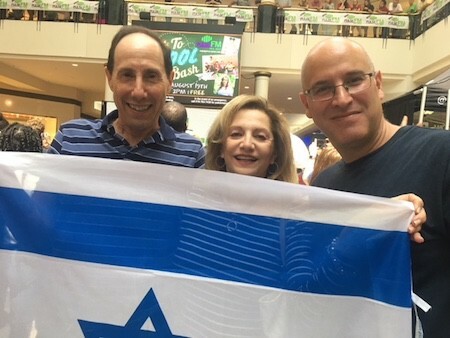 This is the eigth post in a series featuring North Carolinians discussing their love of Israel. Thank you Limor Schwartz! My family still lives in Israel, so we visit annually. My favorite moments are when I can walk with my kids around my childhood neighborhood, my old school, and my favorite beaches and see their excitement when they realize how different life is in Israel than the US. That is such a tough question as with the years, Israel grew up to be a real foodie nation! What I miss the most is a big “toast” from Abulafia in Jaffa- a large sesame bagel full of cheese and a variety of toppings (like olives, egg, corn, etc) and then smashed and toasted. Mmmm…. This may be surprising or unknown to some, but my favorite place to visit is the Palmach Negev Brigade Memorial in Be’er Sheva. I went to college at Ben Gurion University of the Negev, and quickly found this beautiful site while exploring Be’er Sheva. 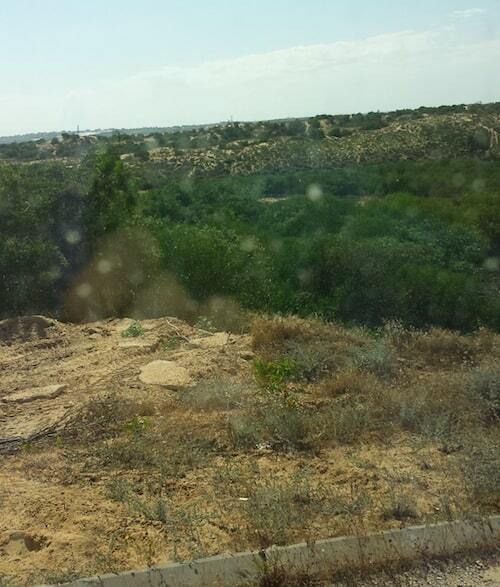 It sits high on a hill and overlooks Be’er Sheva and the desert and is just beautiful, peaceful and relaxing. Definitely the Mediterranean. I grew up in Bat Yam, south of Tel Aviv and woke up every morning to the view of the beautiful ocean. I have memories of skipping school and running to the ocean with my friends, or having a wonderful Israeli breakfast on the beach with my family. Tel Aviv for sure. It’s bustling, and happy and so colorful, and there’s always something to do and see. I love sitting in a restaurant, eating amazing food and people watch on Allenby or Shenkin street. Limor Schwartz grew up in Israel, and moved to the USA after her service in the Israeli Defense Forces (IDF). She has been part of the Raleigh-Cary community for 16 years, and has worked in the Jewish community for much of it. Schwartz is currently working as the Director of Clinical and Social Services at Raleigh-Cary Jewish Family Services. She lives in Raleigh with her husband, 2 children and 2 cats. Voice4Israel board member Amy Rosenthal sent this letter to Durham City Council member Mark-Anthony Middleton to share her concerns about the discriminatory nature of the Council’s decision to single out Israel. I have reviewed again your statement from the April 16th hearing regarding police exchanges with Israel. You said “I’m troubled….that the mere mention of a nation is somehow anti-Semitic. I’ve seen that tactic before.” We who support Israel have not said you cannot criticize Israel, I have no idea where you got that notion, but you seem quite pleased to be calling us out on it anyway. All the Israel supporters I know criticize Israel, and America, and Saudi Arabia, and Yemen, and Lebanon, and England, and France, etc, etc. It becomes discriminatory and anti-Semitic when you only criticize Israel, and blame that country while ignoring egregious behavior on the part of others. "It becomes discriminatory and anti-Semitic when you only criticize Israel, and blame that country while ignoring egregious behavior on the part of others." You said “the council did not single out Israel.” If this were true, why is that the only country mentioned? Simply because you chose the lines you wanted to select from Chief Davis’ statement, while leaving out the positive experiences she had working with Israel, does not excuse your selective wording. To say “we were just quoting Chief Davis” is a slick way of trying to get out of what you did, but we are not fooled. You properly asked the question “what does military style mean?”, then never went on to define it. Even so, you and everyone else used the words as though they understood exactly what it means. What kind of research did you do on the matter? How do you know that Israeli police are “militarized”? Based on what data, criteria and research? Did you compare this to other countries who train with American police? Finally, I found your last words offensive and anti-Semitic. Other groups “would love to have the time we’re spending on this…but when you got more money and you’re better organized….I guess you get our attention”. You should know that the pro-Israel community spent zero dollars on our defense. We had no money, but what we did have, and continue to have, is outrage. That is why we were there. We feel deeply wounded. That is why we will do everything possible to educate people about the wrongs that were done to the Jewish community, wrongs that you played a role in. Bio: Amy Rosenthal lived in Jerusalem from 1964-1965. Although I was young, Israel had a powerful effect on me, and I have loved the land ever since. My experience there is an important part of who I am. I am dedicated to seeing Israel thrive in the future. This is the seventh post in a series featuring North Carolinians discussing their love of Israel. Thank you Carin Savel! Hearing my cousin Leeyah yelling my name at the airport when I arrived for the first time. We look alike, talk alike and think alike. We got into her car and drove to a tiny place for lunch. We hadn’t seen each other in years, but it was like we’d seen each other yesterday. We couldn’t stop hugging and crying. Well, that’s easy– halvah. In the shuk in Jerusalem, I bought 4.5 kilos of it thinking we could eat it all before I left. We wound up giving away what we couldn’t eat– and I regretted that later! The Israel Museum in Jerusalem. It’s just beautiful and walking through the exhibits is peaceful. Art speaks volumes to me, and is always an indication of the soul of the city. The Dead Sea. Who doesn’t like floating while getting a free facial? That’s a difficult choice, but I’ll say Tel Aviv. It’s an amazing city, full of life, music, lights and laughter. And great restaurants and people watching. Tel Aviv feels like the future and it always asks you back. 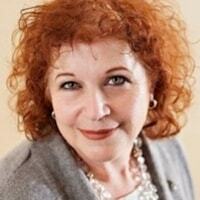 Carin Savel is the CEO of the Jewish Federation of Raleigh-Cary. She grew up in New York City and has worked in the non-profit sector and government arenas for over 30 years. Carin has served on the national board of the Jewish Council for Public Affairs, is a member of the JCPA Israeli-Palestinian-American Leadership Relations committee, facilitates the JCRC Kosher Pork series, and is currently a member of the JCPA Delegates Assembly. She lives in Raleigh with her new Boxer, Avi. "My children jump into the car every day at pick-up talking about Ms. Shelly and begging to listen to their new favorite Israeli song. Once I find the song on YouTube, my children proceed to dance every step Ms. Shelly has taught them from their car seats. Because of Ms. Shelly, my children are exploring more Israeli songs they find on their own. The song of our summer has been "Tudo Bom" and several remixes of it we have found all thanks to Ms. Shelly." 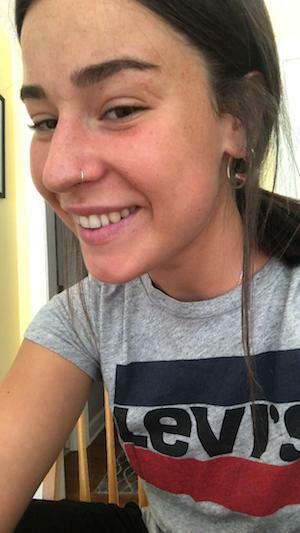 Ms. Roccah was asked to share with Voice4Israel readers five of her favorite Israeli songs that she has been using with the campers at Camp Shelanu. Shelly: ”Zahav”- by Static and Ben El – preformed by Israel’s most famous duo. The name of the song means gold. Editor’s note: The Times of Israel reports that Pop duo Static & Ben El sign with major US record label. Shelly: “Todu Nom” is another hit by Static and Ben El. This song became specially famous in Brazil, since the name of it is in Brazilian. Tudo Bom means- everything is all right. Editor’s note: My children love this song and the Mor David Remix of it we found. Shelly: “Tel Aviv” by Omer Adam- preformed by Israel’s most famous singer, who won the “best singer of 2018 “ award. Editor’s note: If you see a car on 15-501 rocking up and down with happy children in the back seat, this song is likely to be playing. Shelly: “Golden Boy”- by Nadav Gedj – this song represented Israel in the 2015 Eurovision contest. Editor’s note: At a recent sleepover of Camp Shelanu campers, this song was on repeat with the children working together to get their choreographed dance moves just right. Shelly: “Tazizo” by Eden Ben Zaken. Eden Ben Zaken was a contestant in Israel’s X Factor. Editor’s note: This song is listed last, but is certainly not least. This song has been on repeat all summer long in the car. Camp Shelua is located in Durham, NC and welcomes everyone with joy. Camp Shelanu is inclusive of all faiths and backgrounds and is proud of their diverse community. For more more information about Camp Shelanu, click here. Recently, Voice4Israel featured a different style of Israeli music – read our post on the Heavy Metal Peacemakers. Barzilai walking off stage to screaming applause. 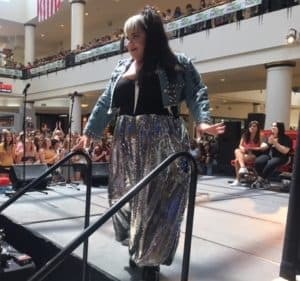 Netta Barzilai, an Israeli singer who recently won the 2018 Eurovision Song Contest, played to a packed house at Raleigh’s Crabtree mall today. Barzilai’s set was filled with singing, dancing, and wild applause. Fans and families sang along. The local Israeli community was well represented and watched from the back of the stage. 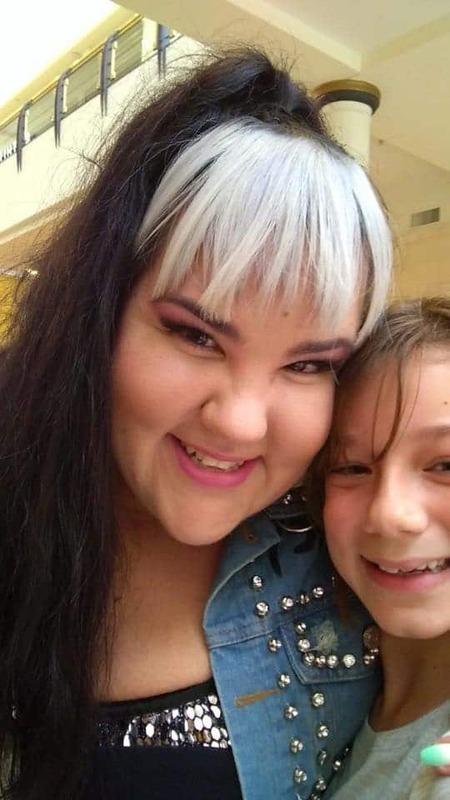 Barzilai signed autographs and took pictures with every child who greeted her. Children had “Nettta” painted on their heads. A college student attending with her mother said she drove an hour to hear the Eurovision star sing her hits. 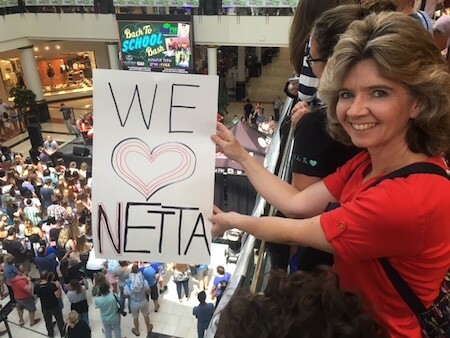 A mother held a “We Love Netta” sign and fans waved Israeli flags. Netta did not dissappoint! Voice4Israel board member Mike Ross wrote this open letter to the Durham City Council on August 16 objecting to the Council’s demonization of Israel and the Mayor Pro Temore’s perpetuation of the myth that Israel indiscriminately targets civilians. I was prompted to e-mail in response to a retweet by Jillian Johnson in solidarity with UK Labor Leader Corbyn. In so doing, you seemed to want to perpetuate the distortion that Israel was indiscriminately killing civilians in Gaza. The vast majority of Gazans who have died were terrorist organization members, intent on mayhem, deviously hidden among civilian demonstrators. The tweet’s misrepresentation, is what the terrorists count on, and it helps ensure that they will continue their malign behavior, at the cost of more suffering, primarily of their own people. I wish you had not retweeted this, as it suggests an alignment with the goals of Hamas to destroy Israel. It encourages the belief in our community, that such desires were the true motivation for your insistence that the City Council Statement single out Israel. The City Council’s statement to apparently ban all types of police training only in Israel, has left our community with dismay. This decision was made after your countenance of a two hour City Council Meeting segment, largely devoted to putting Israel on trial. Many spoke to convince you that Israel is delegitimate and guilty of irredeemable crimes. Their words were of a similar nature as the tweet’s message. I care deeply about the welfare of Palestinians, and would be over joyed to see them live in the peace, prosperity and dignity, which all people deserve. Members of the City Council, please consider whether the demonization of Israel, (to which your actions, deliberately or not, have contributed), is really helpful in finding a pathway to such a peace. "to justify the unusual reproach directed at Israel among the many states of the world, evidence of unusual guilt is required. The evidence…being, not the basis for judgment, but the means of justifying a pre-ordained conclusion. In this worldview,…Israel’s guilt exists independent of any particular actions it takes. Where no crimes are on hand they must be fabricated to serve what is taken on faith as a greater truth…Great crimes—even brutality against children and cold-blooded murders—rather than shocking the conscience, provide the comforts of reassurance in a live-action morality tale." This quote I believe can be applied to the deliberate misrepresentation of the Gaza violence, inherent in the tweet. I imagine you would not agree that these quoted words also apply to the City Council Meeting proceedings of April 16th. But please consider it from our view, as many of us were left feeling that they unfortunately do indeed apply. I very much appreciate the opportunity to correspond with you. Thank you for your attention and consideration of my impressions. 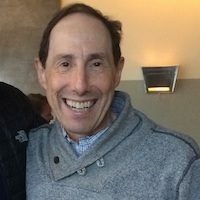 Michael Ross has been an active supporter of Israel, having served as president of the Raleigh B’nai B’rith chapter, chairman of the Raleigh/Cary JCRC and president of Voice4Israel. He is an AIPAC National Council Member and Tikvah Society Member. He lives in wedded bliss with his lovely wife Elizabeth in Raleigh. They have two children Matthew and Emily. 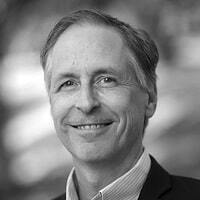 A neuroradiologist, he has practiced with Wake Radiology for 28 years. 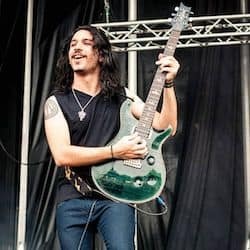 Chen Balbus, guitar player of the Israeli band Orphaned Land, answers questions for Voice4Israel about being a successful and respected musician in Israel. Favorite place to visit in Israel and why? Balbus: Ancient Jaffa. I’m into ancient locations with ruins that you could pretty much get a sense of the history. Jaffa is beautiful (and not too far away from anything). Balbus: Jerusalem is amazing but I’d personally go for Tel Aviv, which has a much more relaxed kind of vibe unlike Jerusalem where it’s full of tourists. "Orphaned Land are unique because they combine Middle Eastern music with metal, text from the Torah, Koran and the New Testament and in the mix of it they call for peace without touching any side of the political map. They have a huge amount of followers in the Arab world, including fans who who have tattooed the bands logo on their body - in countries where you go to jail for doing that." Orphaned Land combines heavy metal with Middle Eastern music and text from the Torah, Koran and the New Testament. What made you decide to use this formula in your art? From all of your tours and shows, what was the most memorable moment for you as an Israeli and a Jew? Has the BDS movement ever tried to prevent you from performing? If yes, what have you done about it? Balbus: Not that I know of, yet. What are your thoughts about BDS trying to prevent artists from performing in Israel and Israeli artists performing across the globe? Balbus: Pure waste of time, wasted on hate spread instead of spreading the good. Balbus: It’s my home. our home. Editor’s Note: Readers may also enjoy our I Love Israel series. 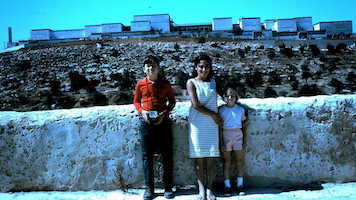 Amy Rosenthal shares her memories and pictures of a beautiful Israel landscape with our readers. "With 678 fires so far, crops burning and animals burned alive, where is the outrage?" As Israel burns from Hamas attacks, day after day for more than 100 days, why is the world silent? 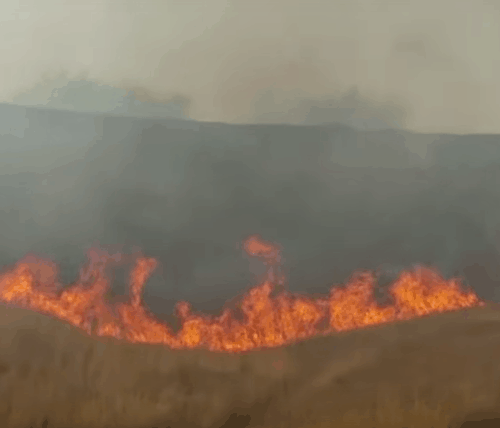 With more than 678 fires so far, crops burning and animals burned alive, where is the outrage? Josh and I visited Israel near the Gaza border and the town of Sderot when we were on our StandWithUs mission trip, right before the fires started in April. We met families who were working hard to grow precious crops. We saw beautiful greenery in the countryside. 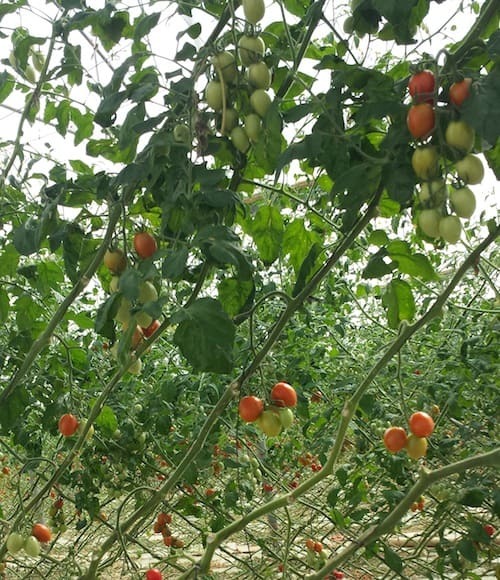 We visited greenhouses where delicious tomatoes were grown with great care. The members of the moshav we visited near Sderot took a lot of pride in their hard work, and for good reason. It’s hard hard living to make such land produce for the people as they do. 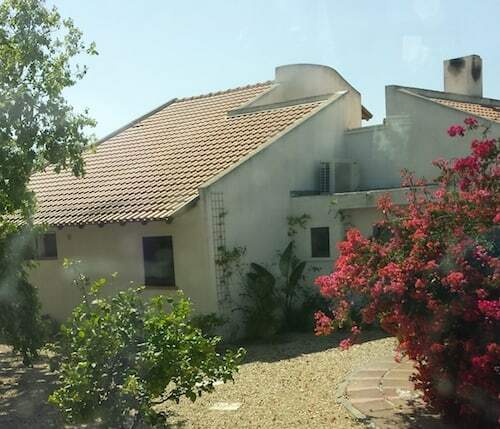 I have included a photo from the roadside, one from a home in Sderot and another of the amazing greenhouse. Now, these fields are black and dust. All the labor for nothing. It’s time for the world to stand up and say NO to Hamas! 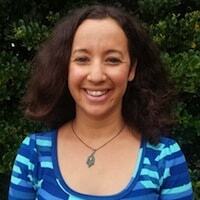 Amy Rosenthal is a Voice4Israel board member and part of our outstanding Farmer Market’s team.